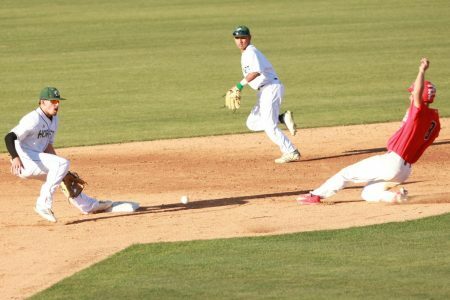 Sacramento State junior outfielder Matt Smith slides into second base safely against Gonzaga University at John Smith Field on Monday, March 5. The Hornets lost to the Bulldogs 6-3. 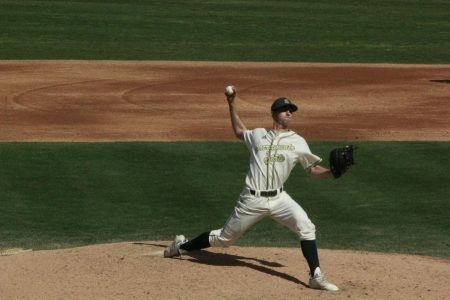 The Sacramento State baseball team lost 6-3 against Gonzaga University on Monday at John Smith Field. 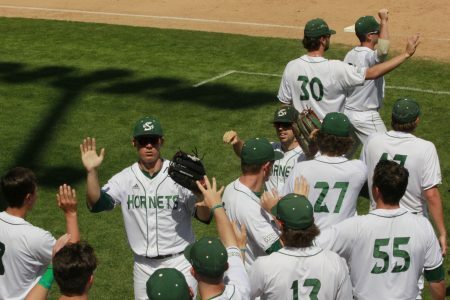 The game was a part of a makeup series for the Hornets (5-7) as they were originally supposed to play at Washington State University, but the series was cancelled due to projected snow all week in Pullman, Washington. 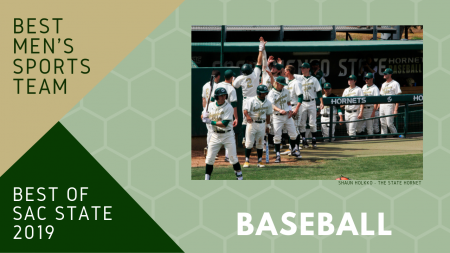 The Gonzaga Bulldogs (6-4) also had their series against the University of Milwaukee cancelled due to inclement weather, which led to the two teams and the Hornets — which went 2-2-in the three-team series — playing a weekend series of games. 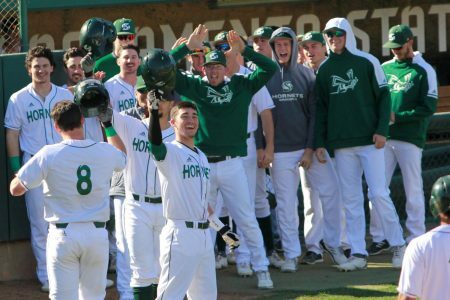 The Hornets, which lost to Gonzaga 13-3 on Sunday, defeated the Panthers 4-0 on Saturday and 3-2 in the 10th inning on Sunday. 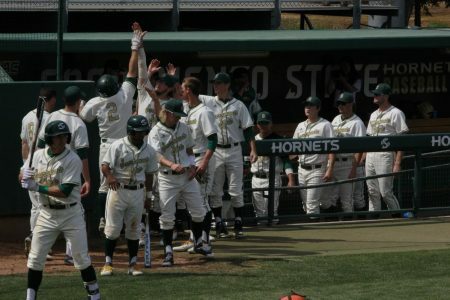 Despite Sac State getting 10 hits in Monday’s game, the Hornets only put up three runs. 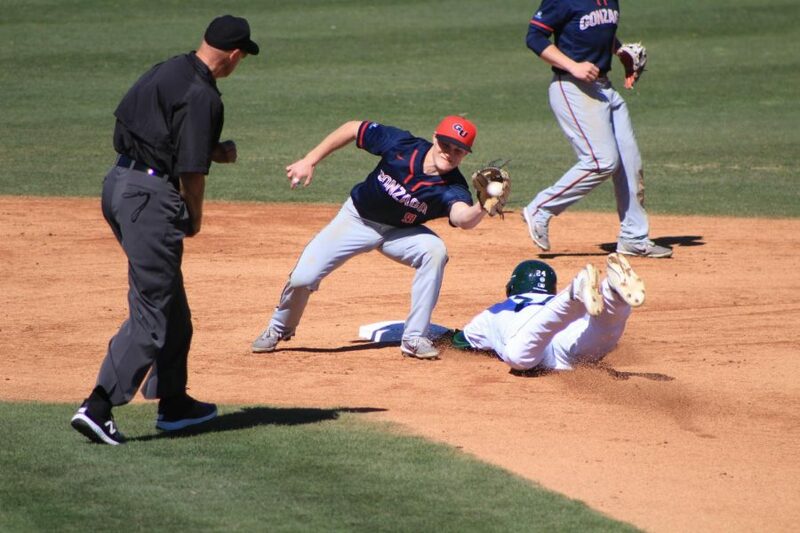 However, junior outfielder Matt Smith — who had two hits and an RBI — said the team doesn’t need to press. 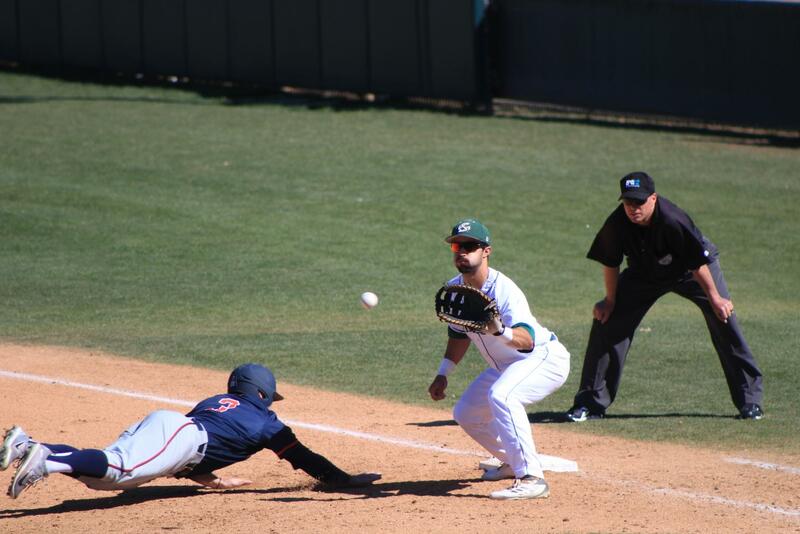 Sophomore shortstop Josh Urbs and senior first baseman Vinny Esposito had an RBI each, while freshman infielder Steven Moretto and senior outfielder PJ Floyd each had two hits. 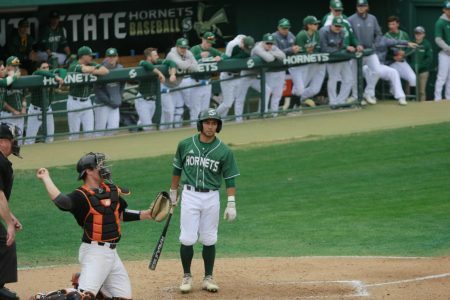 Sacramento State senior first baseman Vinny Esposito catches a pick-off attempt at first base against Gonzaga University at John Smith Field on Monday, March 5. The Hornets lost to the Bulldogs 6-3. 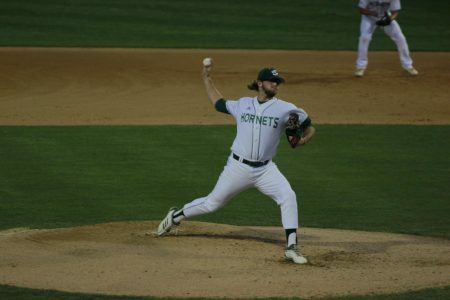 The Hornets — who started senior pitcher Ty Fox — used six total pitchers that allowed a total of four earned runs, with two of the six total scores coming from unearned runs. 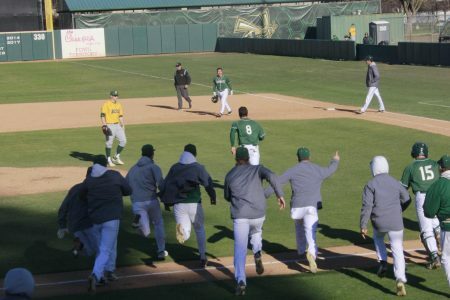 Sac State coach Reggie Christiansen said that his team has had a rough time scoring runs to begin the season. 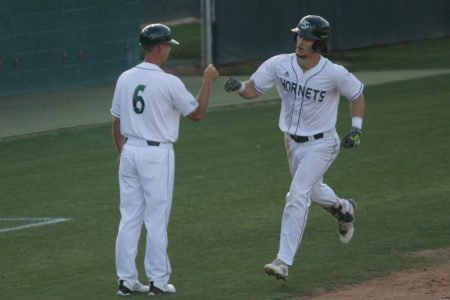 The Hornets start a four-game series against Santa Clara University from Thursday to Sunday, with the first two games in Santa Clara and the last two games at John Smith Field.